Cinco de Mayo is a day celebrating Mexican pride and heritage. For many, that means drinking a lot of tequila. Perhaps you like your tequila neat or like to mix it up into a margarita. Why not add a little Lejay Crème de Cassis to your tequila for something different? Lejay Crème de Cassis was established in France in 1841. Lejay is owned by the French family that owns the wineries Henriot, Bouchard Pere et Fils and William Fevre. 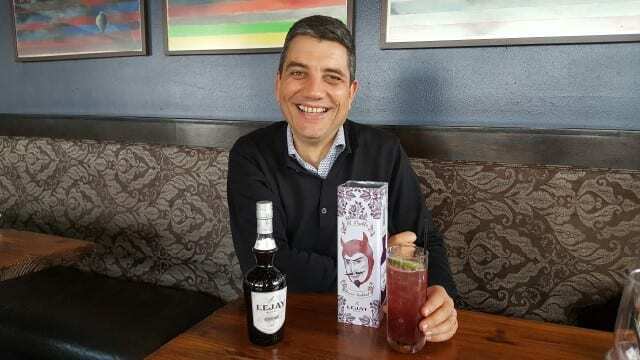 Oliver Melis, an agricultural engineer by education, has been the master blender at Lejay for 10 years. The company is based in Dijon in Burgundy and has 60 employees. 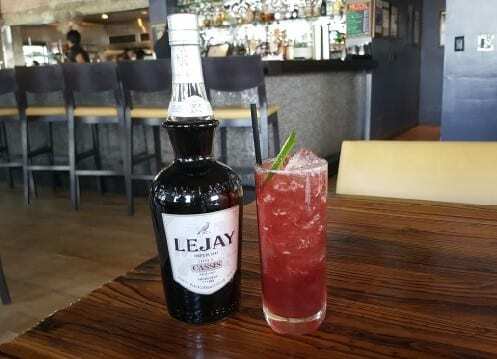 Made with the best-quality ingredients, the Lejay recipe is the original recipe of crème de cassis. A simple recipe, it is still made the exact same way today as it was 176 years ago. Black current berries are grown only in Dijon, Burgundy and in the Loire Valley. There are two varieties of black currents. Noir de Bourgogne produces low yields of a berry that is rustic with vegetal aromas. Black Down is higher in sugar and has a rounder taste. Due to the long process and the bud infusion, the resulting crème de cassis is deep and rich. It has concentrated herbal and aromatic notes of tart black current, cherry and plum. On the palate, the flavor is intense but there is a freshness to it, and the sweetness of the berry shines through. The finish is long with a little acidity that lingers at the front of the palate. Lejay Crème de Cassis offers a perfect balance of fruit, sweet, acid and tart. It is the use of simple raw materials, a simple technique, time and gravity that has made the Lejay Crème de Cassis recipe last for almost two centuries. 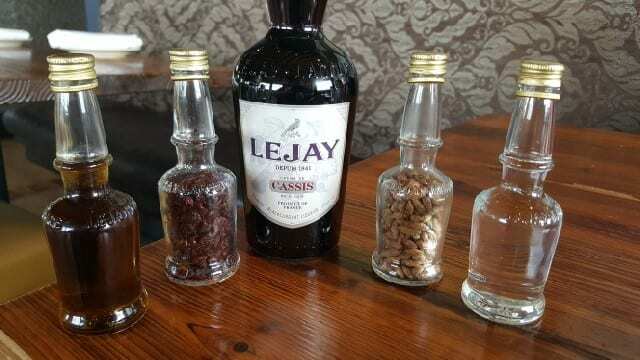 And Lejay Crème de Cassis is very versatile. While crème de cassis is typically mixed with wine for a Kir or sparkling wine for a Kir Royal, it can be mixed with tonic, grapefruit juice, bourbon, gin, tequila and mezcal. Add some to your sangria, or swap it with the vermouth in a martini. But for Cinco de Mayo, try it in the classic “El Diablo” cocktail created in 1946 and made with tequila, lime, crème de cassis and ginger beer. This spicy and sweet cocktail is perfect for your Cinco de Mayo celebrations. Pour into a tall glass and half fill with crushed ice. Stir well or “swizzle.” Top with ginger beer and more crushed ice. Garnish with a lime wheel. This entry was posted in Cocktails and tagged Cinco de Mayo, cocktail, creme de cassis, DrinkWire, El Diablo Swizzle, Lejay, Lejay Creme de Cassis, Liquor.com, Napa Valley Register, Naren Young by Allison Levine.